What better way is there to celebrate the fact that we're exactly half way through the year than with a little organic charm for all those June babies out there?! Those born in June are lucky enough to have not just one but three birthstones associated with their birthday; pearls, alexandrite's and moonstones. Unlike most other gemstones that are found within the Earth, Pearls are unique in that they have an organic origin. 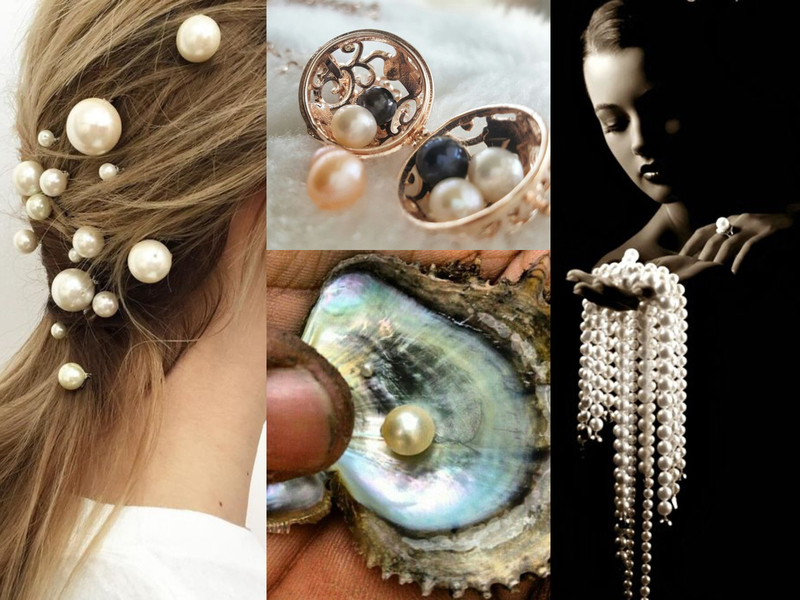 Pearls are often either created inside the shells of living creatures such as clams and oysters or occur naturally in the mollusks of freshwater species in rivers and seas. It is for this reason that the exact date of the first pearl discovery remains unknown. Historically, the first fragments of pearl were discovered in the tomb of a Persian Princess dating back to 420 BC. Pearls that are formed inside of a shell tend to be of an irregular shape, lending them quite a low commercial value in the industry. Comparatively, pearls that are formed inside the tissue of of a mollusk are of a great commercial value and therefore highly sought-after because of their spherical and pearl-shaped forms. 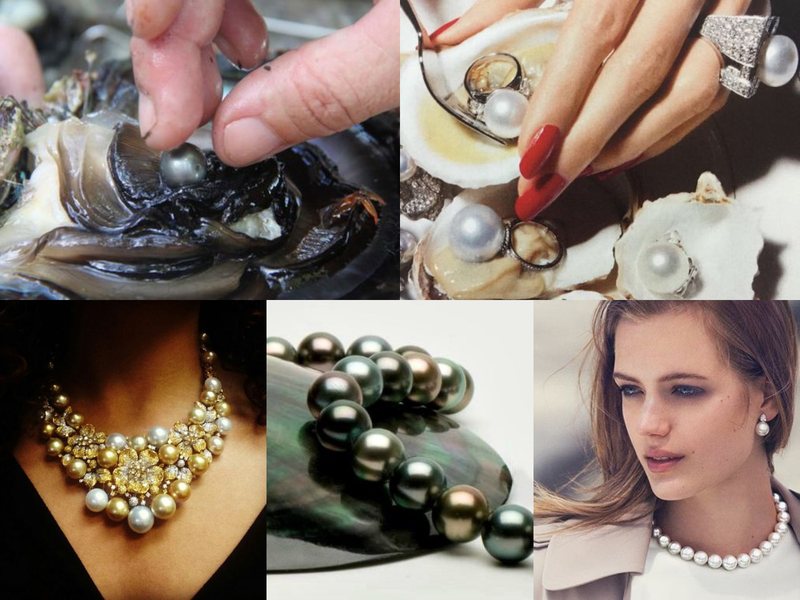 There are two types of pearls: cultured and natural. Just like their name suggests, natural pearls are formed naturally, inside wither mussels or oysters. 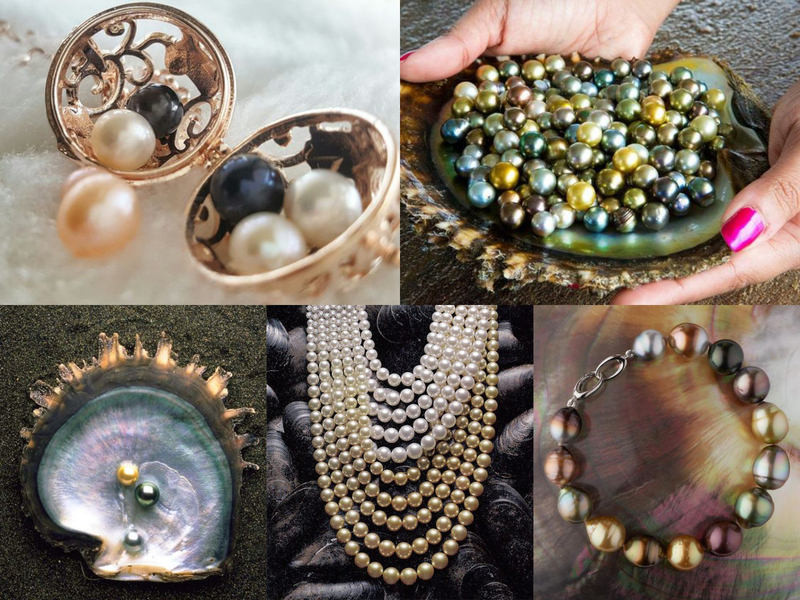 Alternatively, cultured pearls are man-made gemstones which are bred in large oyster beds by introducing a foreign 'nucleus' into an oyster or mussel. Pearls, like most gemstones, can be found a variety of colours such as black, cream, grey, yellow, lavender and blue. However, pearls are generally distinguished and recognised for their lustrous creamy white hues. It is this unique lustre and delicate translucence that places pearls as one of the most sough-after gemstone within the industry. 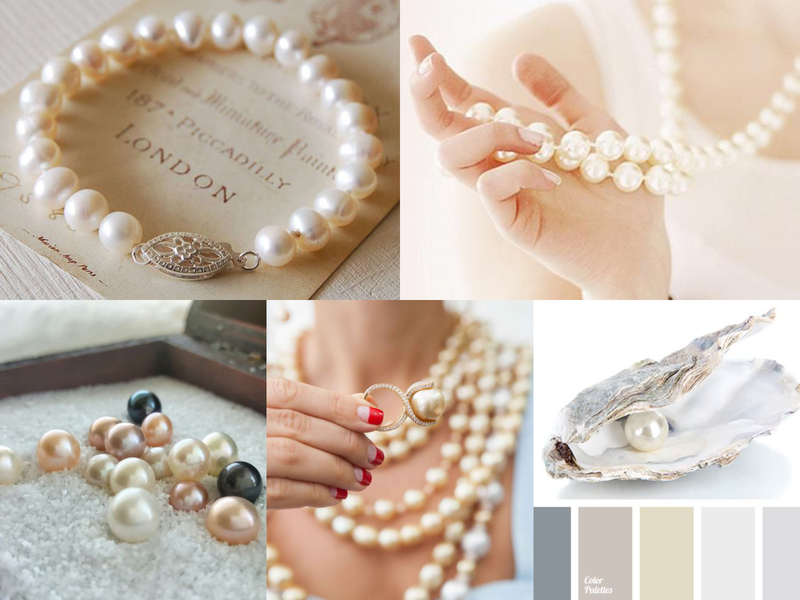 The type of mollusk that the pearl was formed in and its country of origin are the catalysts for its natural end colour. Sri Lanka and The Persian Gulf are notorious for their beautiful cream-coloured pearls called Orientals whilst various islands in the Gulf of Mexico, just off the Pacific Ocean are known for their black pearls. 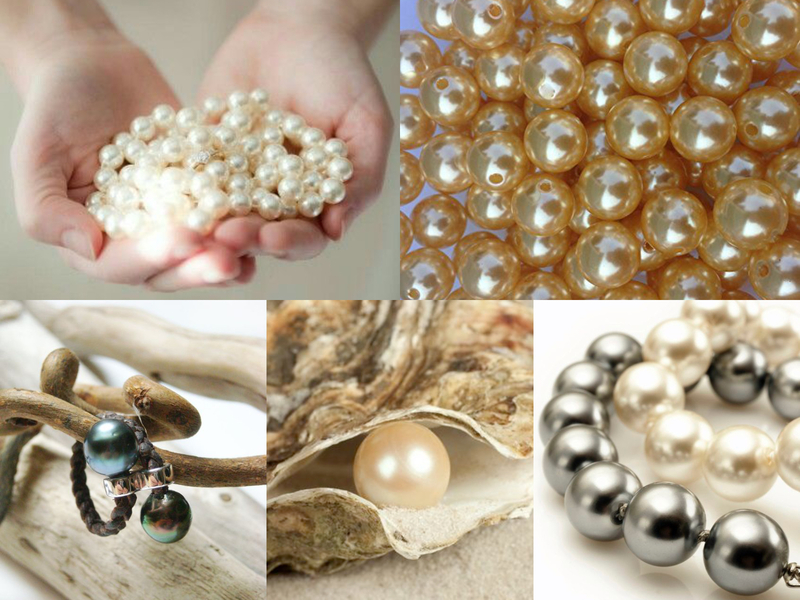 Cultured pearls can be further divided into two main types: saltwater and freshwater. 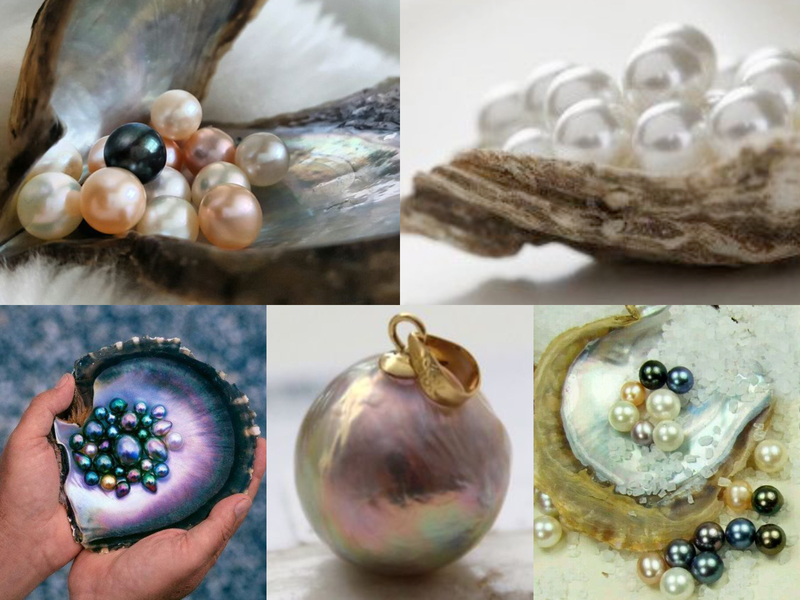 Freshwater pearls demand a lower industry value compared to saltwater pearls but occur in a vast variety of shapes and colours. 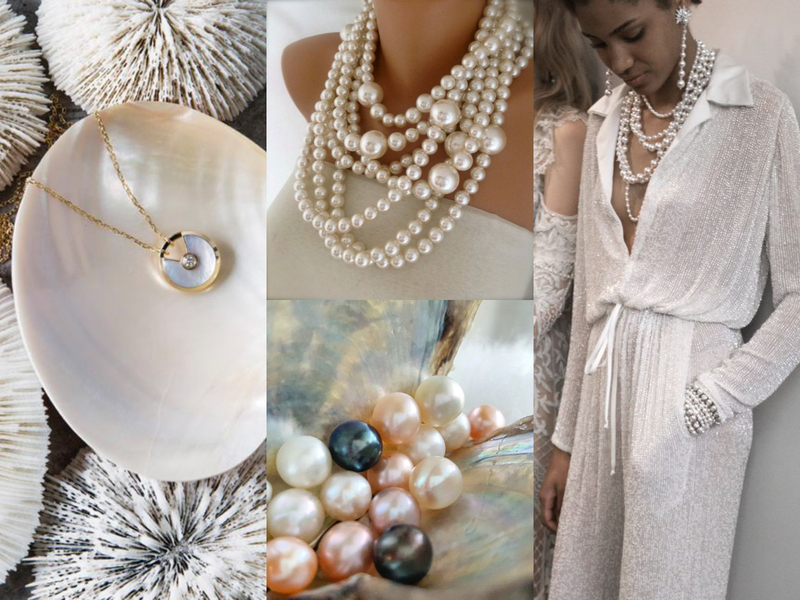 Comparatively, saltwater pearls can be further subdivided into three different types: Akoya, Tahitian and South Sea pearls. These are found in sea temperatures of between 15-20 degrees Celsius inside the shells of Akoya oysters. 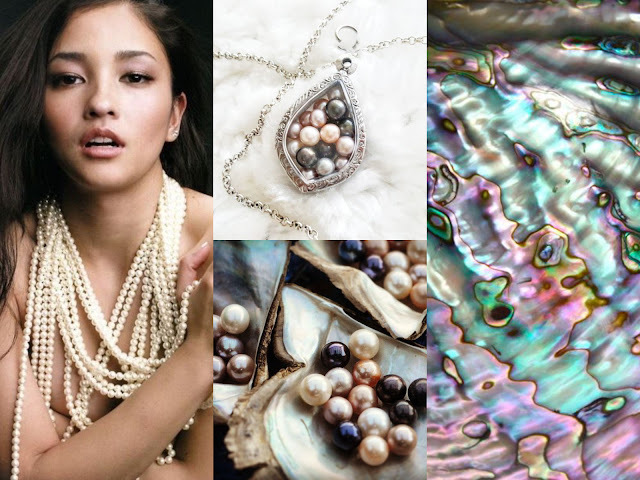 Known for their creamy white and silver pink tones, Akoya pearls are found within Japanese and Chinese saltwater seas. Japan, in particular is well-known for its cultured stones with many familiar with the term Mikimoto pearls; famously named after the industry creator Kokichi Mikimoto. Tahitian pearls are found within the salt lagoons of the French Polynesia. They are formed in a black-lipped oyster called the 'Pinctada Magaritifera Cumingii'. Tahitian pearls are commonly found in grey, silver and black tones with hints of blue, pink and green highlights. Recognised as some of the most luxurious pearls in the industry, South Sea pearls are grown for 2-3 years in the Pinctada Maxima oyster within The Indian and Pacific oceans. Famous for their silky shine and lustre, the colour of south sea pearls are determined by whether they are formed by silver or gold-lipped oysters. 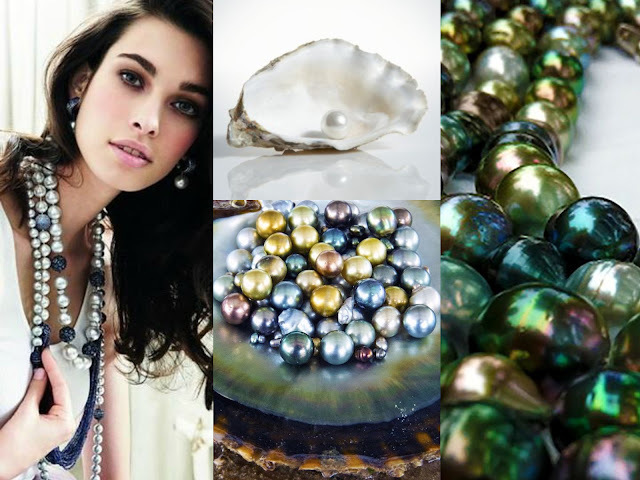 Silver-lipped oysters produce white pearls with hints of silver, blue and pink tones whilst gold-lipped oysters produce gold pearls with undertones of orange and yellow. Historically, Egyptians in 4th Century BC Egypt used pearls as a form of decoration to adorn their weapons whilst Indian warrior believed pearls to symbolise tears, encrusting their swords with them to represent the sorrow of their use. In South Asian mythology, many individuals associated pearls with the scared drops of heaven that fell into the ocean. During a full moon, many believed that shellfish would then collect these ocean dewdrops at sunrise which would later form the beautiful pearls they collected.